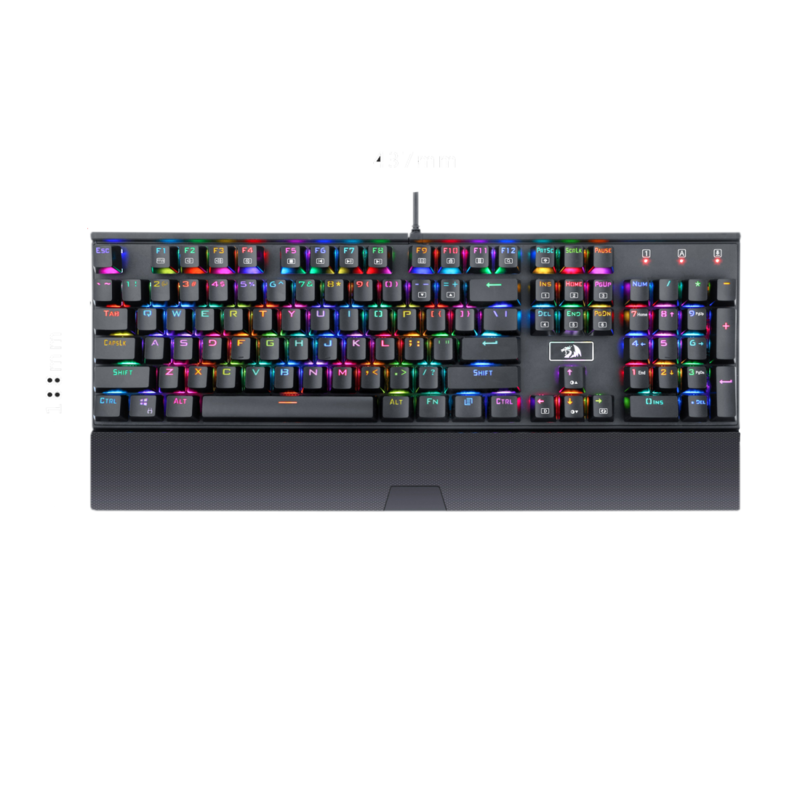 104 double-shot injection molded keycaps are RGB backlit with multiple lighting themes, colours and zones for razor sharp lighting that doesn't scratch off. All 104 keys are 100% anti-ghosting, rollover, conflict-free keys. 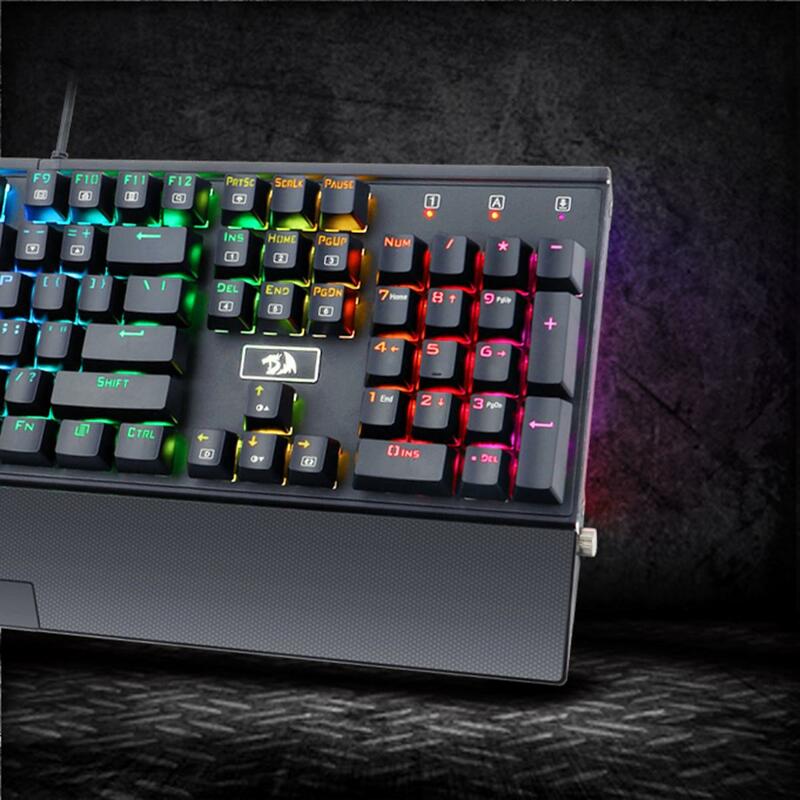 Custom mechanical switches designed for longevity with greater durability and responsiveness. 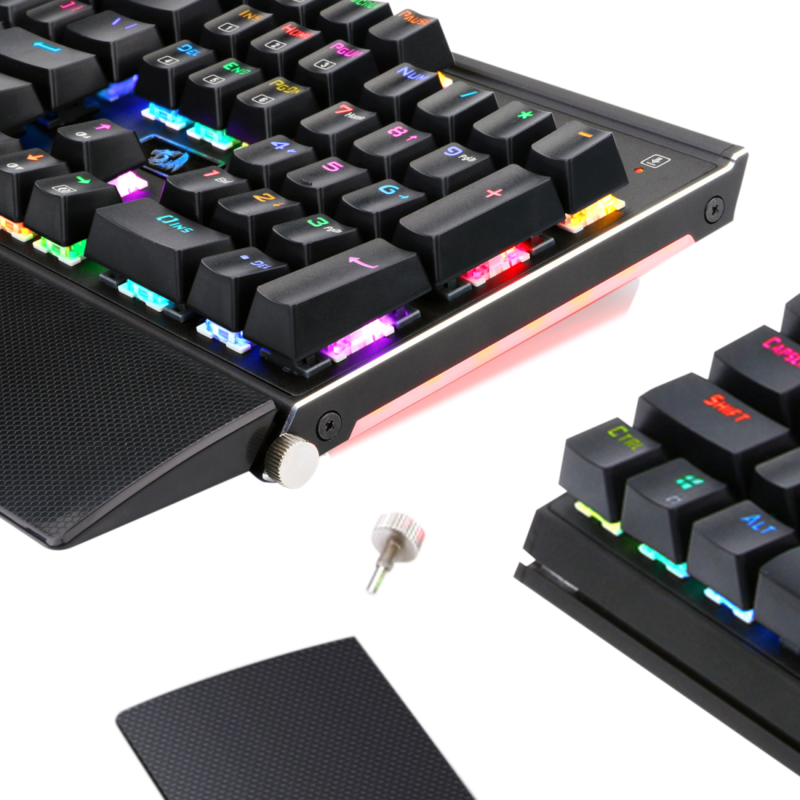 Mechanical keys with Cherry Blue equivalent resistance, audible click sound, and crisp tactile feedback. 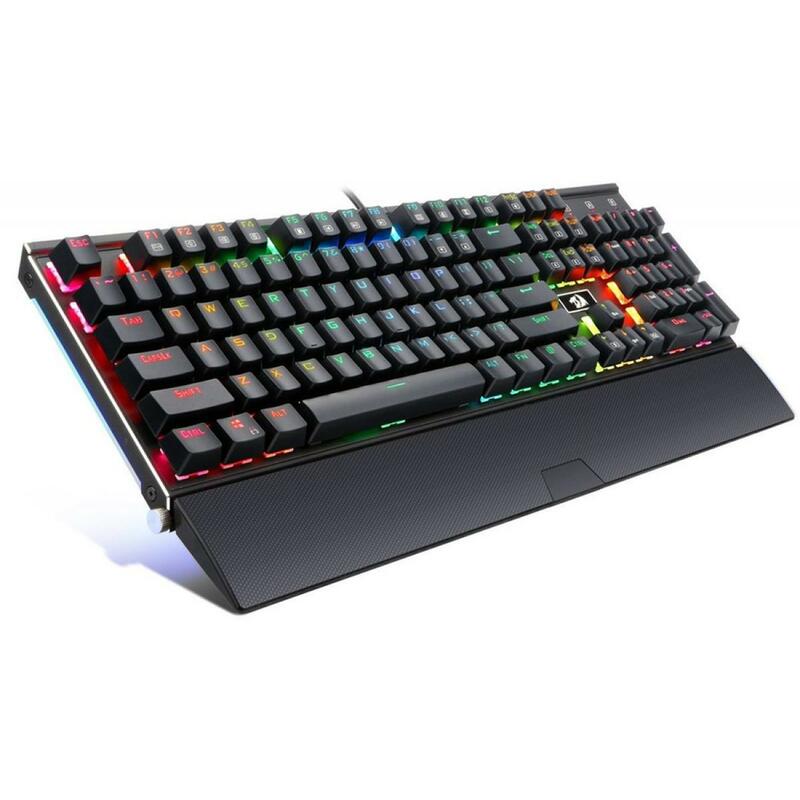 RGB backlighting can be adjusted for different multiple themes, colours, zones, brightness, breathing effect, and on/off. 12 multimedia controls on Function keys. , Windows key lockout option. Built like a tank. Over-engineered All Aluminium casing and splash proof design. Supports Windows 10, Windows 8, Windows 7, Windows Vista, Windows XP or later operating system. Custom mechanical switches (Cherry Blue equivalent) for ultimate gaming performance. Designed for durability, reliability, quick responsiveness, and precision. Delivering the perfect tactile and audible ”click” feedback. 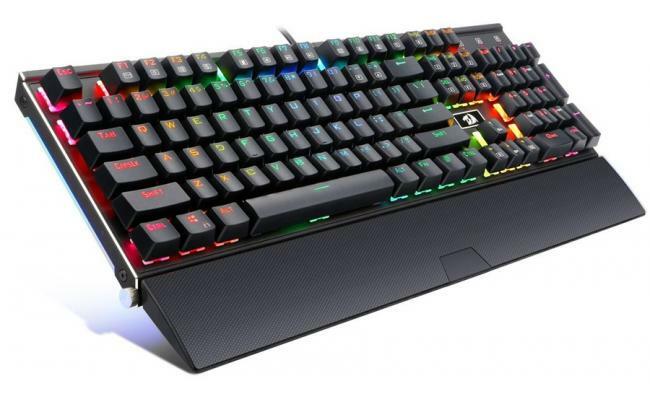 The Redragon K567-RGB isn't your average gaming keyboard. 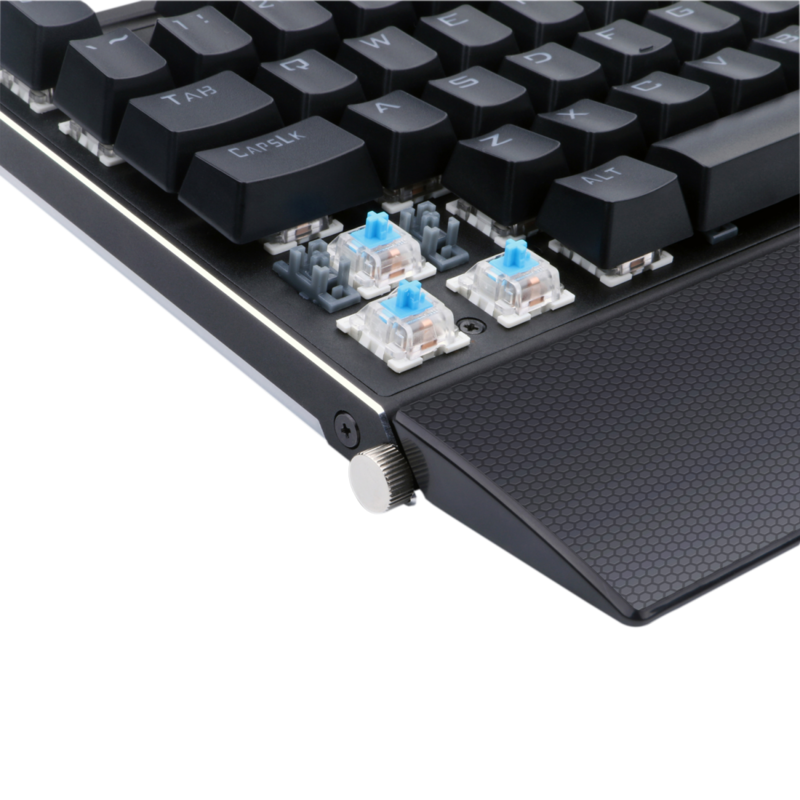 Not only is it over-engineered and built to take a beating, the heavy duty Aircraft-grade Aluminium construction feels way more solid and durable than plastic keyboards, The All Aluminium construction also offers better oil resistance and making the key feedback even more crisp and clear. 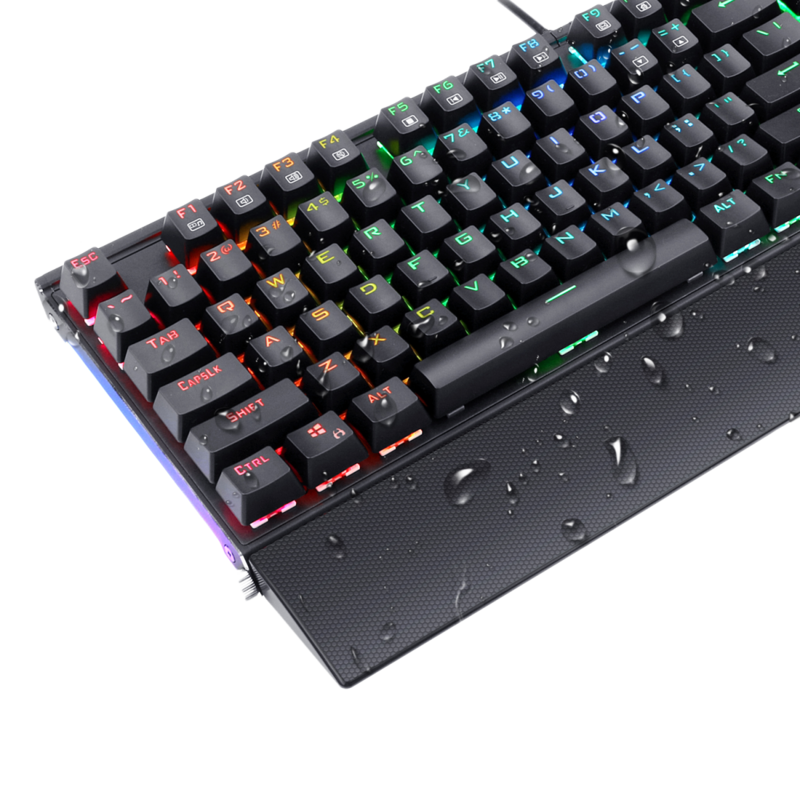 In additon the K567 RGB is loaded with features including double-shot injection molded keycaps, high-end switches with mechanical ultra-last springs, crisp and bright adjustable RGB backlighting, detachable palm rest a gold plated USB connector, and a splash-resistant design. 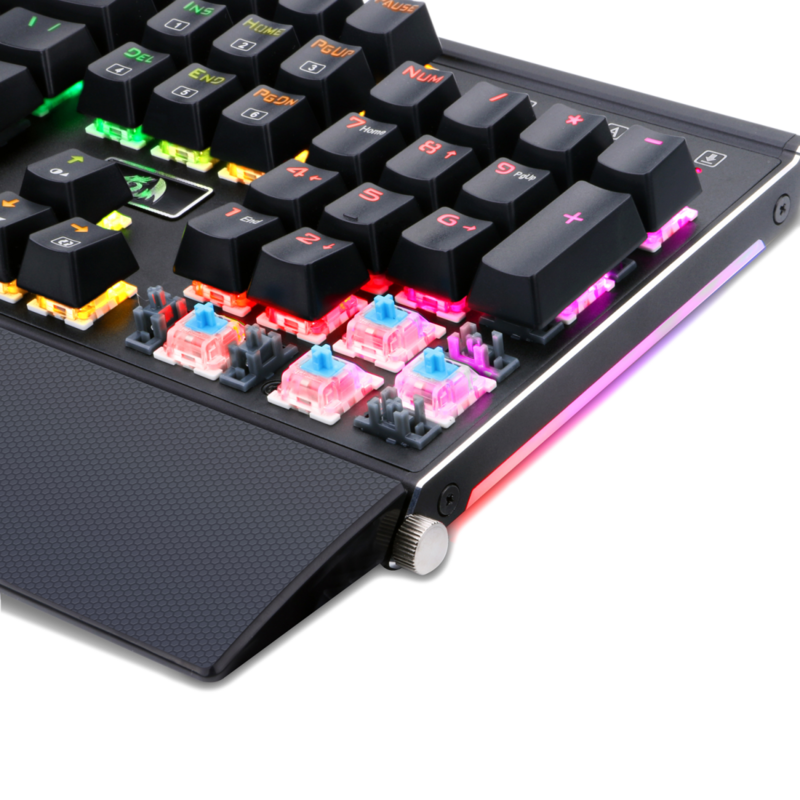 * 104 double-shot injection molded keycaps are RGB backlit with multiple lighting themes, colours and zones for razor sharp lighting that doesn't scratch off. All 104 keys are 100% anti-ghosting, rollover, conflict-free keys. * Built like a tank. Over-engineered All Aluminium casing and splash proof design.